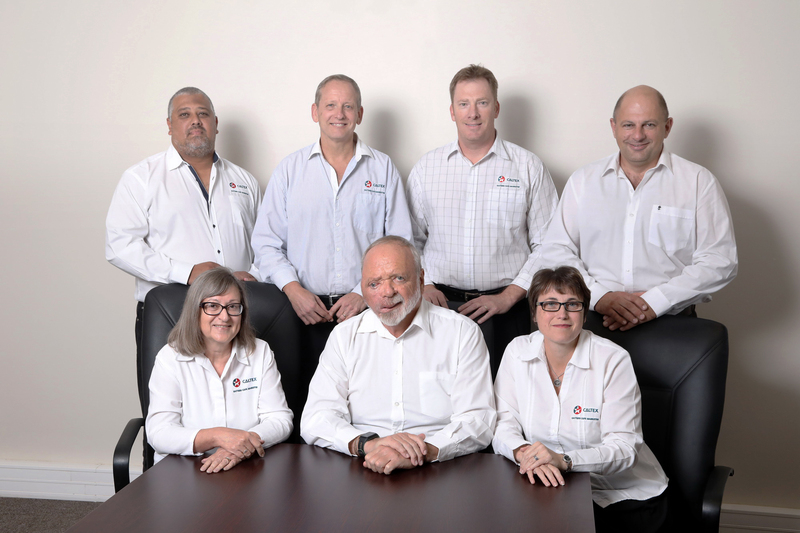 We have a team of thirty working out of our Head Office in Beach Road, East London, and a smaller team of six working from the Regional Office in Newton Park, Port Elizabeth. Executive Directors Clive Berlyn and Pat Kelly are supported by an additional five management members. This team has a combined experience at management level of over 220 years in total and nearly 100 years in the fuel industry. Front row: Sharon Parry – Asset Manager; Clive Berlyn – Chief Executive Officer and Nicola van Heerden – Manager Shared Services.